"The bag started moving, and out comes this kitten." 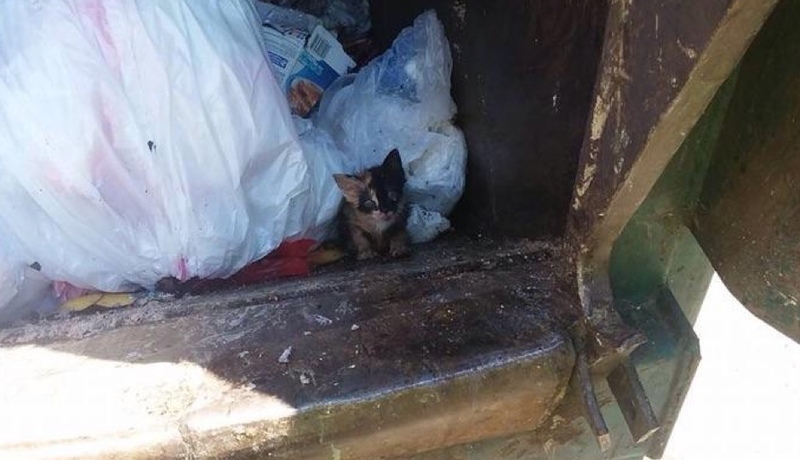 By Claire Sasko·	 6/8/2016, 12:50 p.m.
Kittens don’t belong in the trash. But that’s exactly what Upper Darby garbage collectors found yesterday, wide-eyed and blinking – a three-week-old kitten. The kitten, which weighs only about 12 ounces, was found sealed in a trash bag. Workers emptied her into the back of a garbage truck before they discovered her. 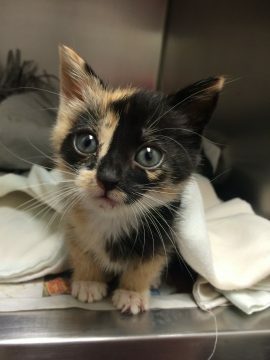 “The bag started moving, and out comes this kitten,” Ron Riggle, a Humane Society Police Officer with the Providence Animal Center, told 6ABC. The kitten was found with paint on her fur (the odd, paint-covered animal rescue stories continue), but she didn’t seem to be harmed. She was aptly named Grundgetta after the ratty-looking Sesame Street character who appears to have also come straight from the trash. Staffers at the Providence Animal Center are now seeking a foster home for Grundgetta. The center is currently looking for the person who threw the kitten out, spokesperson Justina Calgiano said. Grundgetta joins several other kittens in her adventures. In December, workers in California found a kitten who survived a ride on a dump truck as it was about to be decimated on a recycling center compressor belt. And earlier this year, sanitation workers in Florida spotted a whopping four kittens while processing garbage.